Certificates are a series of classes that will give you a deeper understanding of a specific topic such as the Bible, theology, leadership, and others. 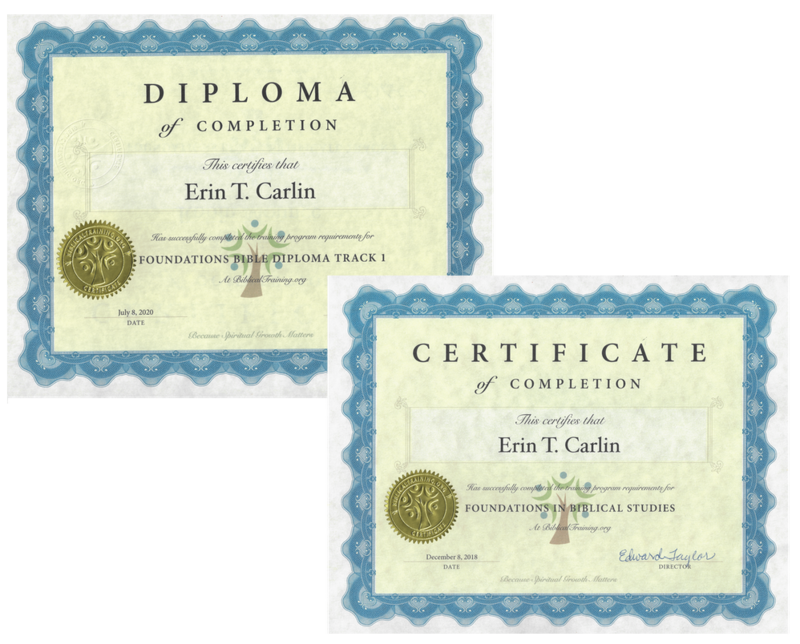 Each Certificate is made up of a series of classes with workbooks, assessment for each lecture, and a printed Certificate. Click here to learn more, or click on one of the Certificate programs below. Certificates that can be used for CEU credits are marked as such. Learn the basic structure, themes, characters, and theology of the Bible, from cover to cover. Gain an overview of the entire Bible. Study what you believe, and why. An experienced mentor walks you through how to be a Christ-centered leader. What is your theology of work? Certificate programs are offered in a variety of subjects to help you better understand the Bible and grow in your Christian faith. Learn on the Go using your computer, tablet, or phone. There are no deadlines, so you can take the classes at your own pace. Celebrate your accomplishment with a certificate, which will be mailed to you when the program is completed.